With the international window out of the way and club rugby returned to normality it’s time to catch up on how our international contingent have been getting on across the age levels on different continents. First up is the senior Northern Hemisphere competition and it was a disappointing start for New-Zealand born Gareth Anscombe who was named to start at full-back in the opening game against Ireland, but was forced to pull out late in the day with a minor muscle injury. Tom James was selected though as he made his first start for six years under Warren Gatland, nine tries in all competitions for Cardiff just too good to ignore. He was joined, of course, by captain Sam Warburton in the starting XV. Not in the starting team though was Gethin Jenkins, with Llanelli’s Rob Evans chosen ahead of him At just 23, Evans is 12 years Jenkins’ junior, and very much seen as the heir to the loosehead throne. Starting Evans is all part of him gaining experience, and with Melon on the bench he can be called upon when needed. Gethin was joined on the bench by Wales’ official bench warmer of the past few months, Lloyd Williams, and Alex Cuthbert, who retains the trust of Gatland despite not really recovering his form. In a tight 16-16 draw none of the Cardiff players particularly stood out, with Warburton stifled somewhat by starting at six and partnering Justin Tipuric at flanker, while Tom James received little to no service on the wing, but did make an excellent try saving tackle. Off the bench, Gethin was solid as ever, while Lloyd injected a much needed pace that is lacking from Gareth Davies at scrum half. Alex Cuthbert was left unused on the sidelines. Onto week two and for the visit of Scotland the only Cardiff change was to see Cuthbert dropped from the bench in place of Kiwi born Anscombe, fully recovered from the previous game. Warburton again found the same problems with partnering Tipuric, and I’d be surprised if we didn’t see Warburton back on his favoured blindside, with Dan Lydiate starting at six. Tom James did get a free run this time out as he set off on an 80 metre dash to the line, but unusually for TJ he was chased down by Duncan Taylor. Despite Gareth Davies again hindering any tempo, Lloyd didn’t replace him until too late to make an impact, while Gethin was his continually solid self off the bench. NZ born Anscombe was placed at full-back by Gatland in the middle of the second half, and aside from the normal catching and aimless Wales kicking stuff, he did get completely walked past by Taylor as the Scots scored a late try. Proof again he’s not a full-back, but a 27-23 win for Wales nonetheless. Gareth Anscombe was born in New Zealand, you know. Week three came around and France arrived in Cardiff lacking any sort of form. Wales did return to Sam Warburton to his favoured openside with Dan Lydiate partnering him at flanker, while the bulk of Alex Cuthbert was preferred to that of Tom James. Gethin Jenkins, Lloyd Williams and Gareth Anscombe kept their spots on the bench. Again there was nothing particularly eye-catching from the Cardiff boys as the team laboured to a 19-10 victory. As the big game vs England rolled around in the penultimate week of the championships the Cardiff involvement started to reduce somewhat. Gethin Jenkins had picked up a foot injury so was out for Paul James, while Rhys Webb’s return to fitness meant Lloyd Williams missed out on the matchday squad. Alex Cuthbert was again selected ahead of Tom James with Gatland saying TJ was ‘lacking match fitness’. Just bizarre. The Cardiff contingent lessened again into the second half as Sam Warburton was knocked clean out making a tackle, while Gareth Anscombe remaining unused on the bench meant only Alex Cuthbert was really involved in the game. He didn’t do a massive amount and Wales slipped out of the tournament reckoning with a 25-21 loss. The final week saw no Cardiff players in the Wales starting XV, which is a worry really. Alex Cuthbert was injured but Tom James still got no look in. 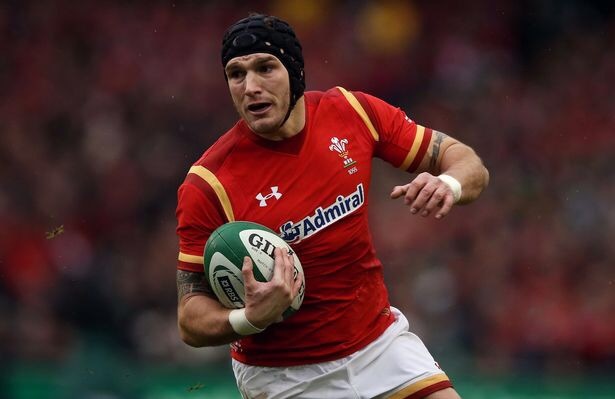 Lloyd Williams was again relegated to third choice while Sam Warburton failed the head injury assessments. 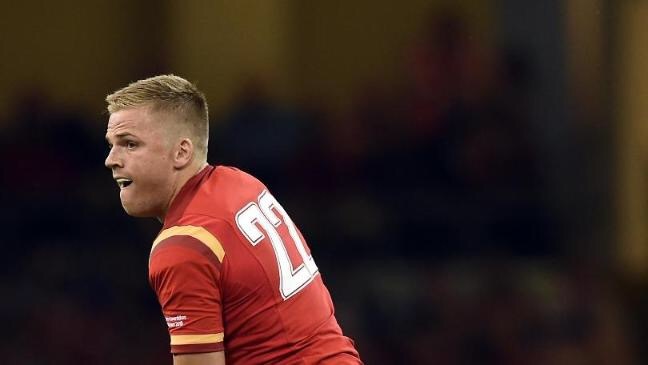 Gethin Jenkins did return to fitness to sit on the bench alongside Gareth Anscombe and both got half an hour to impress as Team Wales waltzed past Italy with a 67-14 win to finish off a disappointing campaign. If Cardiff involvement at senior level was slightly disappointing, then the U20s was anything but. No less than six Cardiff boys started the first game, with Corey Domachowski and Dillon Lewis the props, Shane Lewis-Hughes at lock, Harri Millard in the centres, Elis Wyn Benham on the wing and Rhun Williams at full-back. Joining them in the match day 23 were Rob Lewis, Morgan Sieniawski and Jarrod Evans off the bench. It was a strong performance for all as the scrum dominated while the backs played with a creative freedom that saw Williams set up a Millard try on the way to a 24-35 win at Donnybrook. The theme of big Cardiff presence in the U20s continued in Colwyn Bay for the Scotland game as the same six started and only Jarrod Evans was missing off the bench as he went to Treviso with the Cardiff firsts. A slightly more difficult match against a strong Scittish outfit but the players dug deep to grind out an 18-15 victory. Millard joined Williams in the provider ranks as they combined to send winger Keegan Giles over. Week three saw Rhun Williams, Harri Millard, Shane Lewis-Hughes, Dillon Lewis and Corey Domachowski start against France, with Morgan Sieniawski coming off the bench. The scrum was extremely impressive while the backs were dangerous, a trip on Williams earning France player Ngandele a second yellow card as the younger lads won 16-10. Heading to Bristol with the U20 grand slam in their sights the junior Welshman produced a fantastic performance. The same Cardiff players were involved and Dillon Lewis particularly earned plaudits for his scrummaging, while Harri Millard scored another try as Wales won 16-42. An evening of the highest quality to set up a huge last game at home to Italy. The same Cardiff players played for the third week in a row, and they nearly joined the rest of the team in bottling the occasion as the Azzurri held the 20s to a 6-6 draw at half-time. However a second half rampage saw the boys return to the Arms Park as U20 Six Nations Grand Slam winners thanks to a 35-6 win. Well done to them! While the Six Nations was on the youngest of the Wales sides took the chance to play some internationals as the U18s played against France and England at home ahead of an U18 international series across Easter. 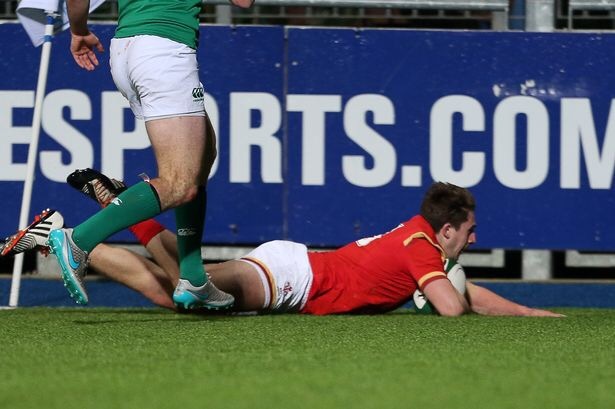 The Wales side included forwards Rhys Carre, Corrie Tarrent and Aled Ward, as well as backs in the wonderkid Owen Lane, and second choice fly half Ben Jones. Declan Williams also took a spot on the bench for the England side. Ben Jones was the only player to get on the scoresheet with a conversion in each game, although a missed penalty from halfway proved costly against England. That game was lost 26-27 after a 17-8 win over the French. All Cardiff players played well though judging by reports and increased the feeling that the future of the Cardiff Blues is very bright. 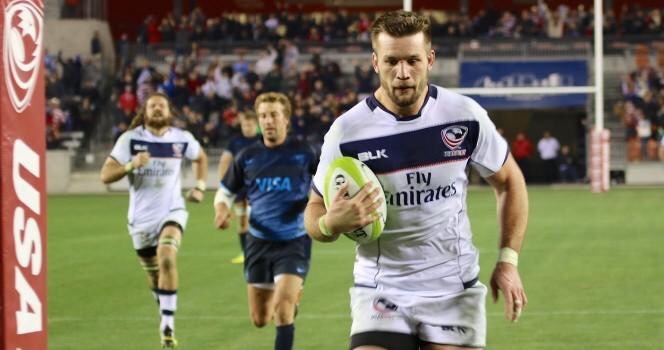 Blaine Scully and Cameron Dolan were both selected to start the first Americas Rugby Championship game of the revamped competition, with Scully captaining the US to an entertaining 35-35 draw. Just after 65 minutes, back rower Dolan intercepted a loose Argentinian pass and galloped the 30m to the Houston try line. Well done to both lads for representing Cardiff out there for the game, and good to have them back unscathed.